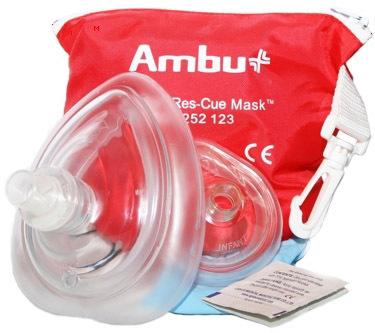 The Ambu Res-Cue Masks are designed to provide protection from body fluids while giving rescue breaths for any age patient. The rescue masks prevent direct contact with the patient's mouth, nose and face and helps overcome hesitation to start resuscitation. 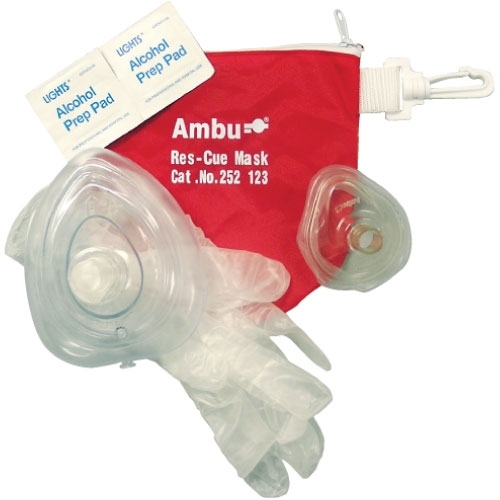 The rescue masks may also be used with a bag valve. The included one-way filter valve can be used on either mask. Includes 1 adult mask, 1 infant mask, a one-way filter valve, 1 zip-top carry case, 1 pair of non-latex gloves, and alcohol wipes. Shipping and tax is included in the price.